Dr. Phillip M. Steele is Board Certified in Family Practice and completed an extra year of fellowship training to compete and become certified in sports medicine. In addition, he credentialed in RMSK (Registered Musculoskeletal Ultrasound) and is one of the top musculoskeletal ultrasound experts in the country. He has spoken at numerous medical conferences and is considered as one of the leading national and international experts on the evaluation and treatment of the brachial and cervical plexus using high resolution ultrasound. He has chosen to specialize in non-operative sports medicine and IROM (interventional regenerative orthopedic medicine) to provide many regenerative techniques to help heal you. Since his Sports Medicine fellowship, Dr. Steele has worked with the U.S, Ski team, traveling overseas for event coverage for the Nordic Combined and Cross Country Ski Teams. He was an athlete physician at Soldier Hollow Nordic venue during the 2002 Winter Olympics in Salt Lake City and he has worked as a Team Physician for University of Wyoming athletics. During his eight years in Wyoming, Dr. Steele was integral in developing coaches' sports medicine education programs for the high school athletes, and he developed a special passion for the education and management of concussion in sports. Since moving to Montana, Dr. Steele has served on the High School Sports Medicine Advisory Committee, and is actively promoting athletic safety for kids in Montana. Also, Dr. Steele has served on the Governor's task force Montana Youth Concussion Advisory Panel. Dr. Steele also specializes in diagnostic ultrasound for musculoskeletal injuries and nerve entrapment syndrome. By using ultrasound, he can look functionally at many joints, tendons, and nerves, allowing him to make a more accurate diagnosis. For diagnosis and treatment, Dr. Steele uses the combination of his years of experience in sports medicine, ultrasound diagnostics and the newer therapy options of "regenerative medicine" to help you heal from chronic injuries. This comprehensive approach provides you with a functional perspective that not only looks to accurately diagnose your injury, but to also look for factors that may have contributed to your injury so we can provide the most effective treatment. Dr. Steele also works as a faculty instructor for ultrasound procedural and diagnostic courses throughout the United States. He is an exam writer for the national board exam for Registered Musculoskeletal Ultrasound and is a frequent lecturer on the use of musculoskeletal ultrasound for diagnosing and treatment of nerve entrapment syndromes. 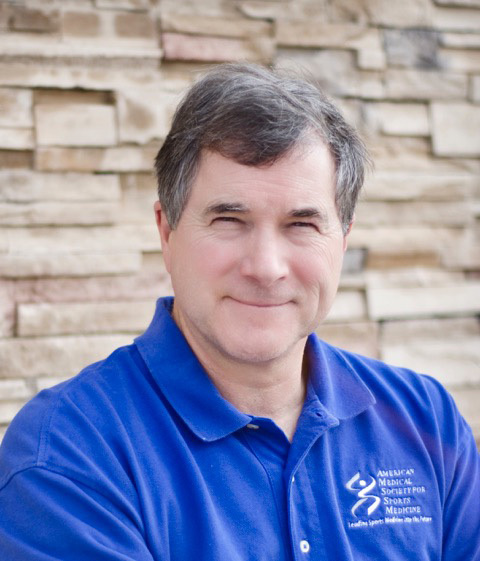 With more than 10 years of experience using regenerative medicine treatments including platelet-rich plasma (PRP) and adipose-derived stem cells, Dr. Steele is Montana’s most experienced practitioner regarding the use of biologics in healing musculoskeletal injuries. With his passion for treatment for sports injury, ultrasound diagnostics and expertise in nerve entrapment syndromes, Dr. Steele brings a unique perspective on healing injuries for all ages. When Dr. Steele is not working, you will most likely find him mountain running with his wife and two golden retrievers in the hiking trails near his home, or coaching his Master's cross country skiing group on the trails of MacDonald Pass.